I've found out that this mod and Itasan2 Search/Show Sim Info had the same string table instance ID and the only reason they didn't conflict before the April 16th patch, was because I was using the normative recommended by EA/Maxis and Itasan2 was not. As it turns out , he didn't have to do anything to fix his mod and continued to use Group ID 0X00000000, which is the Basegame Group ID. My mod used the recommended 0X80000000 group ID "that was left unusable after the last update by EA". When I patched this mod to use the recommended fix by the developers, it made it conflict with ShowSimInfo, disabling it's strings or names in the menus. So until EA releases a new patch to fix what they have broken in April16th, please download my second hotfix from April19th. You may then use this mod together with ShowSimInfo, without conflicts. UPDATE: April 16th Patch - StringTables broken by EA - Download this one to fix the issue. Rest assured that this mod is working with the latest patch 1.50.67 and StrangeVille. No need to update from last November 13th. Some Players still have trouble installing a mod, so, after so many troubles, I thought I just post an image on how it should look like after correctly installed . Had some reports saying the Mod had stopped working, please check if you re-enabled Custom content and Scripting Mods in you game options after any patch update. The Mod is still working until today. Unbroken by the latest patch version 1.44.77.1020 and Seasons. May 2 - New Update with corrected script - All functions are as announced before. May 1 2016 - Another Update, this time added Percentages for each gender in steps of 20% For 100% choose Male or Female as before. New Update : May 1- Female and male percentages are now in different menus for easier usage. The four main choices are back in the front page. 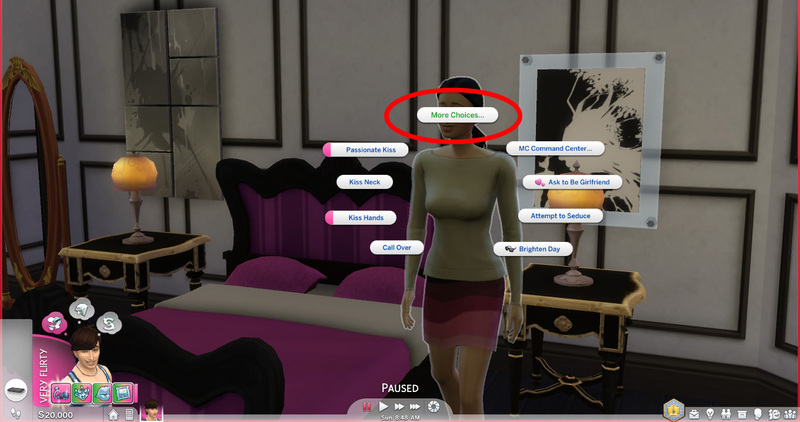 If choosing Male, all and any preference the sim had for Female will be removed. 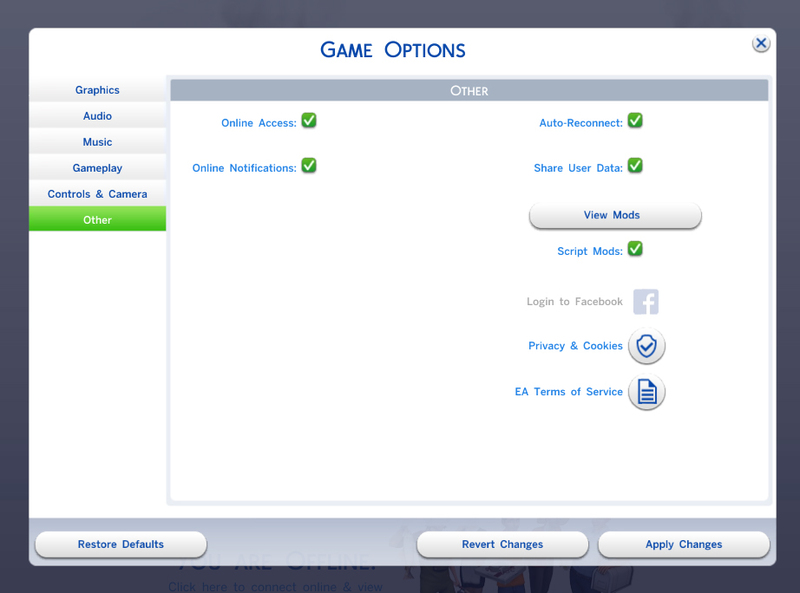 If choosing Female, all and any preference the sim had for Male will be removed. Using Percentages by Gender: You can now choose a percentage by gender. When setting or changing the percentage for a certain gender does not change the opposite gender percentage. 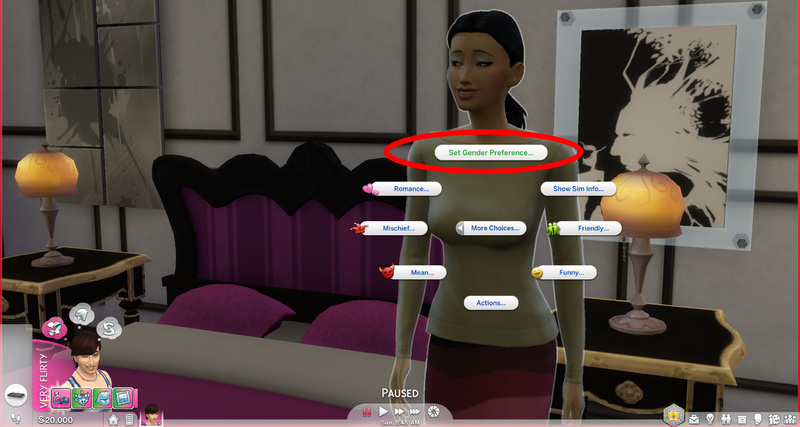 Click the new menu Set Gender Preference, and a new menu with 4 options will pop. Then chose que desired gender preference. This is a new interaction so will not conflict with any other mod. azoresman_Set_Gender_Preference.rar | Description: Do not use this one.